It seems we are bombarded on a weekly basis with information about eBook sales, what percentage of the market they represent and what their adoption rate is with readers but none of this information is ever backed up with raw or specific sales data. We often get vague consumer surveys about how many eBooks they would read or purchase and but what a consumer says on a survey is often vastly different to how they actually act. 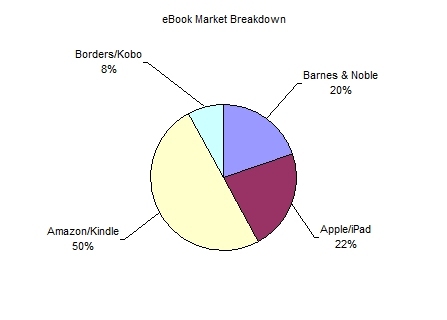 We also have a myriad of eBook retailers reporting sales and stating their own market share. But this reporting is just a PR exercise. It rarely refers to exact sales figures and more often than not is in percentage form (150% up, 20% marketshare, 35% of print sales etc) and is more about branding than anything else. I recall at one point last year someone added up all the eBook marketshare claims that were made and it worked out that Amazon, Kobo, Barnes & Noble, Apple and Google accounted for 130% of the eBook market! For the last 11 years in Australia the sales data of print books has been collected and collated by Nielsen BookScan and covers a good majority of book retailers in Australia, from independents to chain stores to Discount Department Stores. Nielsen’s data is an invaluable tool for everyone in the book industry. It allows publishers to see real sales data of their titles so they can make more informed decisions on print runs and when to reprint a book. It also allows retailers and publishers to more quickly spot trends and track the longevity of particular books, series, genres, you name it. Having this data means that everyone in the book industry can better understand and plan what they do in their businesses. However Nielsen does not have access to any eBook sales data. The reason is that by the very nature of how eBooks are sold publishers receive their eBook sales data instantly and directly. There is no need for a third party to collect and collate the data from all the various retailers like there is with print book sales. So publishers have the information they want and so far have not felt the need to share it (except for the obligatory “eBooks are now 12% of our business” etc etc). The eBook retailers could share this data but the biggest eBook retailer (who has over 50% of the eBook market) has a track record of not sharing their data with anyone so any sales data from other eBook retailers would not be a complete reflection of actual eBook sales. But retailers need this information. We cannot plan our businesses on vague statistics. We need to know what the actual numbers of eBook sales are. In a recent presentation from Nielsen on print book sales in 2011 one bestselling author’s sales figures for their new book in 2011 dropped around 50,000 copies (which was about 25%-30%). This is a massive decrease in our book market and those figures alone paint a very dramatic picture but what is the real story? How many of that author’s book sold as an eBook in 2011? Was there a net gain or a net loss when you combine the print and eBook figures? As a bookseller I don’t know but I need to know so that I can manage the impact eBooks are really going to have on book sales. Currently book retailers provide their print book sales data free of charge to Nielsen who then sell this information, collated and with in depth analysis, to publishers. Nielsen also provides detailed analysis for booksellers throughout the year. But the flow of eBook sales data is not coming back. Accurate statistical information is vital for everyone in the book industry and at the moment we are missing a vital piece of sales data at a time when our industry is going through a massive revolution. I’m not sure what the issue is with sharing the data. I know Nielsen are the best vehicle to collect and collate the data and are able to do it. And that booksellers have been happy and willing to share their sales data, free of charge, for over 11 years. It is in everyone’s best interests to share sales information so we can all have a clear picture about what direction (and format) our industry is truly heading in. e-book sales will leap around for a while as people like me fill their readers with titles, then don’t buy anything for a while as they read. Also, don’t forget all the free e-books pouring onto the market from self publishing authors who could never get published by the mainstream publishers because they couldn’t see a profit in it. Recently, some of the best books I’ve read have been these, [and some of the worst].If publishers are doing it hard, then it serves them damn well right. They’ve taken over all the small niche publishers who served people like me well, then dumped authors and titles that won’t ensure huge or at least certain profits, and book shops are filled with popular junk by already famous people [it doesn’t matter what they’re famous for, or if they can write] instead of being treasure troves of mind expanding, thoughtful jewels.. Terrific post. Do you have some sources for your charts? Interesting post. 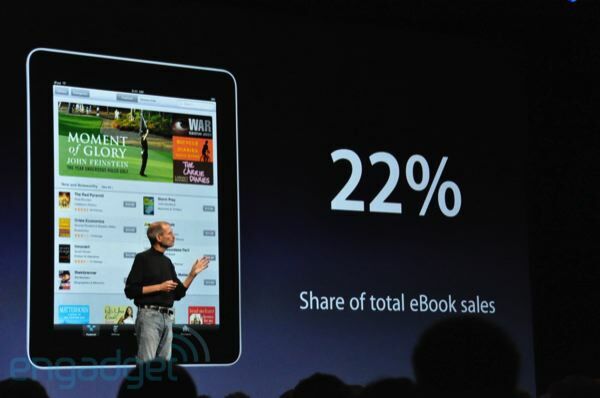 It’s not just retailers who’d like the ebook figures. There is no way for authors to verify ebook sales and matching royalties, you just have to assume everyone is playing the game nicely. I, like most Australians authors, read lots of American writing blogs and they are always so breathless about the sales of ebooks, and it’s the way of the future and get on board and blah blah blah. But why should I until I see the figures? Why can’t we see them? Withholding them suggests that they are not as wonderful as they are made out to be, I mean, what else can one conclude? I try not to be paranoid or cynical but occasionally I slip, and I’ve slipped into thinking it is the makers of ebook devices that want to create the illusion of massive ebook sales and thereby get the herd buying their hardware. And then having to update their hardware, and get it fixed or serviced, and then thrown away and buy a new one and so on and so forth ad nauseum. I may be wrong, but where there is no information provided the demons of fear and insecurity fill the void. And when that happens everyone in the industry suffers. I could rant on like this for hours …. Pingback: How is the e-books market evolving, what are the numbers and are they reliable? « The book is dead, long live the book! 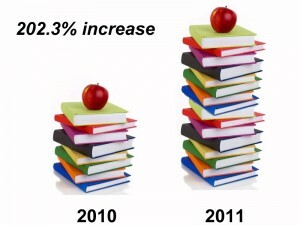 Pingback: Unreliable statistics on e-books « The book is dead, long live the book! Pingback: Unreliable statistics on e-book sales « The book is dead, long live the book! As the managing director of Australian eBook Publisher I would be happy to share my general ebook sales data, but we only have about about 300 titles so I’m not sure this would really help anybody. As most of our books are self-published, and lack any kind of marketing strategy, the sales of our books is not indicative for the industry as a whole. Perhaps the data from bigger fish like Book Baby would be helpful, but again it is self publishing, not traditional. Exactly what are we wanting here in terms of the data? There are so many variables, and so many players. This may have gone in the too hard basket.